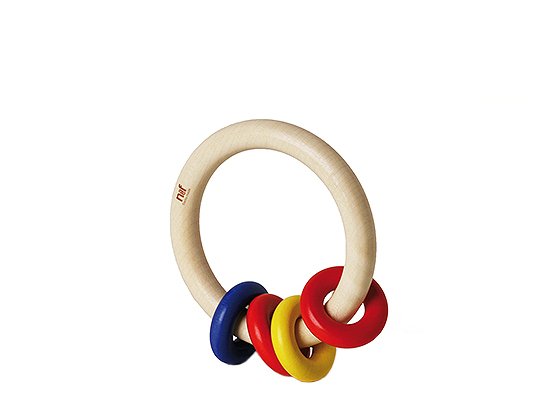 The head of Tona Babyrattle holds a surprise that will fascinate infants...what is making the sound? 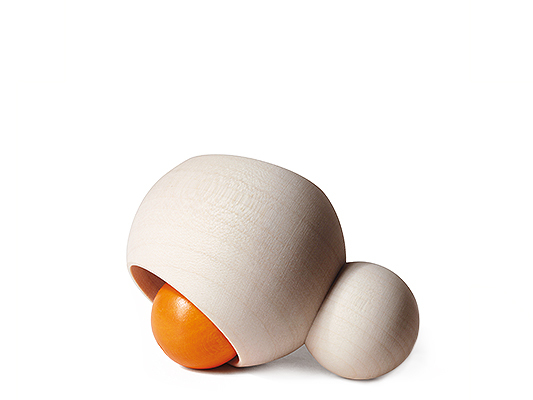 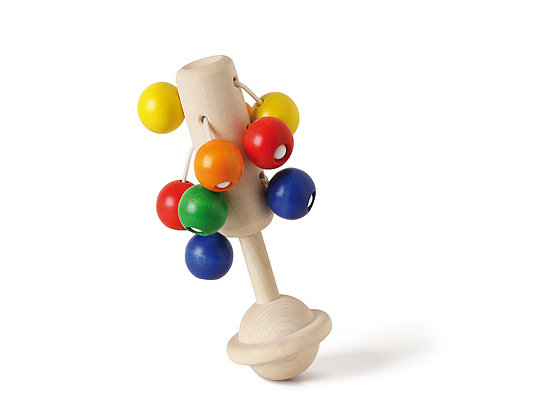 Three small wooden balls create a sweet clatter when moved. 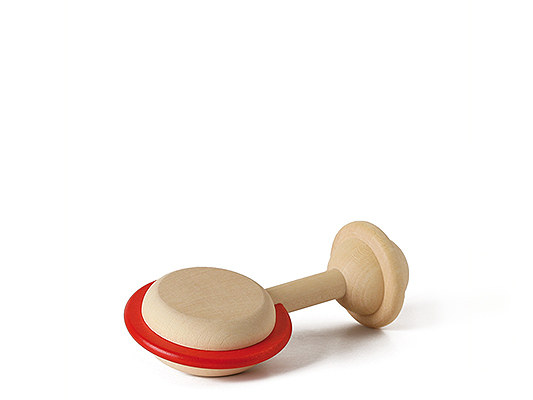 A very simple concept, but with smooth natural wood, a touch of color and just enough sound this rattle is a favorite. 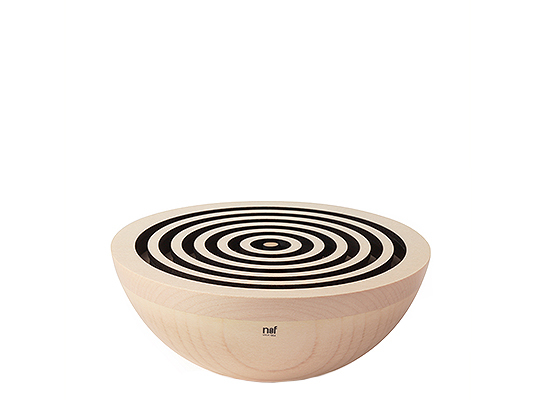 Born in 1926 in Eptingen, Switzerland; carpentry apprenticeship, advanced training at art schools in Basel and Amsterdam; diploma of interior design; design and creation of modern furniture and wooden toys; founded his own company, now called Naef Spiele AG; died 2006 in Zofingen. 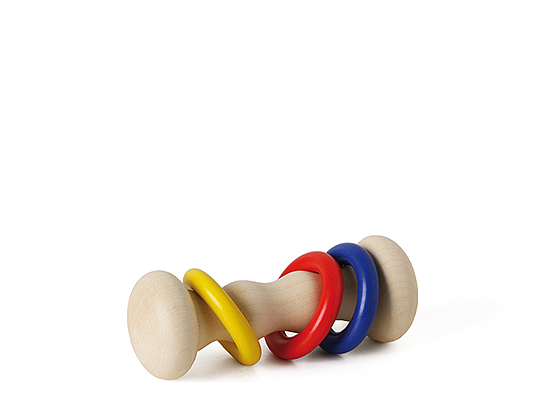 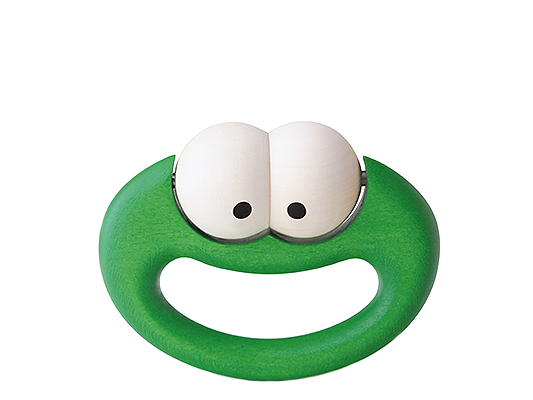 Baby Balls, Gemo, Gradus, Griffi, Kaumi, Kauring, Kerba, Kreisel, Labyrinth (zusammen mit Hans Nyfeler), Naef Spiel, Regolo, Ringli-Ring, Signa (together with Sarah W. Preston), Tabella, Tona (Ringo, Fibula, Rulo, Bugi, 3 Ring-Spiel, Zahnklötze, Kugelbau) and many more..